This hero started auditing police in none other than Orange County California being the birthplace of political correctness. Whether you think filming and identifying bad cops is politically correct or not, it is clear what he does is for the community and not for himself. Richard is the third hero in our ongoing series and as with everyone who does this type of activism, he has his own style. However auditing the police is only one thing he does. Richard is active in the community helping other people who have been abused by the police. This includes holding rallies and talking to the news media both print and broadcast if the story is big enough for them to cover. This interview is different in that Richard has taken the time to record YouTube clips specifically for this interview and can only be seen here. Because you are hearing what he has to say in his own words, it is easy to understand the passion that drives him to empower the community with the knowledge of how to protect their rights from overstepping officials. Richard can be found on YouTube at “Time to Stand”. City of Orange video this was one of the scariest ones. Port Humeme the second scariest one with thecameraman and dat man. 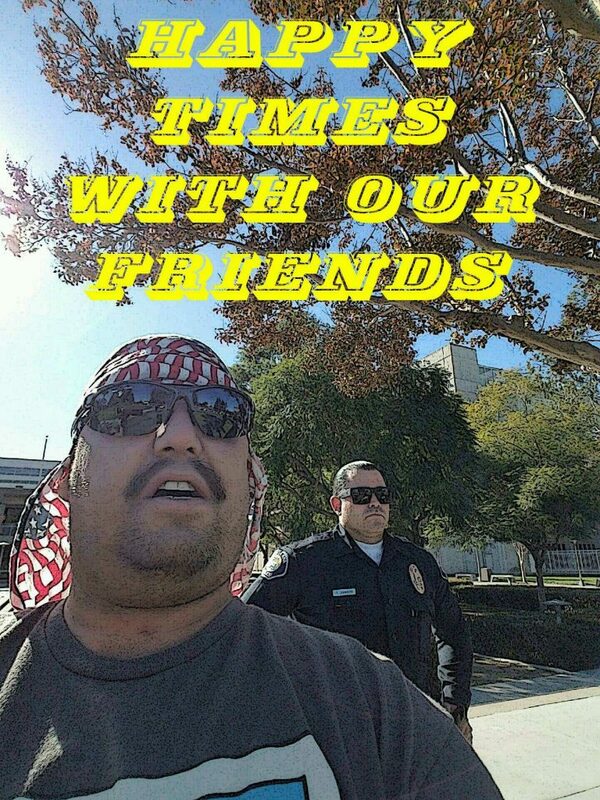 Sergeant Coe Tustin PD a great cop. Talking with my brother and how he feels about what we do. Seal beach video this cop said sorry to me. Richard is an asset to the community as with all the other heroes that do the same. There are always bad cops be they a much smaller percentage than good cops. It is also the bad cops that put the good cops at risk as well with guilt by association. So in its own way Richard is helping good cops too by helping to provide enough evidence to get the bad cops removed from the police force, and that is a win, win on all sides. So because of that we give him our highest honor the Shining Star!